Marta - My lab was really interested in trying to figure out how temperature affects the spread of infectious diseases and specifically infectious diseases that are spread by mosquitoes. We know that climate change is going to be changing the temperatures that we observe and not just what those temperatures are but when they occur in the year. And we know that temperature has a really big impact on the way that mosquito bodies work. Chris - So basically what you're saying is if climate change changes the temperature, the temperature changes the behaviour of potential vectors like mosquitoes, and that means that the dynamics of how diseases may spread will be secondarily affected? Marta - Yes exactly. And it's not even just behaviour in the way that we typically think about it like where they go in and how far they fly, but every aspect of how their body functions: how long they live, how many eggs they lay, how quickly they turn from eggs into adults, how good their body is at transmitting the virus - because the disease has to get from their stomach to their salivary glands and so that process depends really sensitively on temperature. Chris - So given that, how can you make predictions about what impacts climate change is likely to have on things like emerging infectious diseases and the distribution of the diseases we already do have? Marta - One way that you can do that is by building a model. And so, by model we basically just mean an equation that lets us turn body functions - things like lifespan, egg production, how good you are at transmitting the disease - into an overall prediction for disease spread. And so we can take lab experiment data where people actually take mosquitoes and put them in incubators at different temperatures and measure how all of those processes are affected by temperature, and then we can come up with an overall equation for how we think temperature affects the spread of disease. Chris - That tells you what your model thinks is going to happen, but how do you validate it? Marta - So that's a great question. So in order to test this model we basically need to take human cases for different diseases and say "how much do these current cases of diseases match what we would predict based just on the model?" Chirs - So what disease did you actually look at? Marta - So for this study we were looking at a disease called Ross River virus. 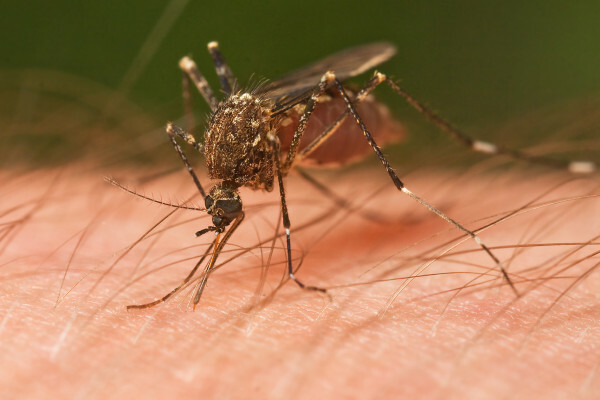 It's the most common mosquito-borne disease in Australia. The reason why we were so interested in Ross River virus is that Australia is basically perfect to study how temperature affects mosquito-borne disease because Australia is a huge continent that stretches from very tropical areas in the north to much cooler areas in the south. But throughout that entire range there is a single case reporting system. So we have a really good dataset for both the human cases, weather data and, in some cases, even mosquito data. We can use all of those pieces to try and test our model that was based just on data from lab experiments. Chris - Right. So, because you've got this broad range of different temperatures across the continent, and you can see how in the present situation that temperature and the seasonal data alters the behaviour of the mosquitoes, you can then use that to say "well, if climate change causes areas to become warmer or colder accordingly, we would anticipate that we'll see what currently happens in that geography happening in this new geography, and therefore this is what the likely outcomes will be"...? Why is Ebola spreading so quickly?